In the UK, three-quarters of consumers admit to binning unwanted clothes. In the spring of 2017, consumers were predicted to have sent an estimated 235 million items of clothes to landfill. UK consumers ditch more than a million tonnes of clothing every year. Over the past 10 years, the fastest growing waste stream in the UK has been clothes. The Waste & Resources Action Program (Wrap) ,a UK government and EU-backed agency tasked with reducing waste, estimates that £140 million worth (350,000 tonnes) of used clothing goes to landfill in the UK every year. In 2010, Americans discarded 13.1 million tons of textile. 11 million tons of these textile ended up in landfills across the country. What are the problems with disposing of unwanted clothes to landfill? Natural fibre clothes decompose, releasing methane, a harmful greenhouse gas and significant contributor to global warming. Also, textiles can contain dyes and chemicals. These can leach into the soil contaminating both surface and, in improperly sealed landfills, into groundwater. Meanwhile, synthetic fibers, like polyester, nylon and acrylic, have the same environmental drawbacks, and because they are essentially a type of plastic made from petroleum, they will take hundreds of years, if not a thousand, to biodegrade. Another issue is the amount of space taken up. 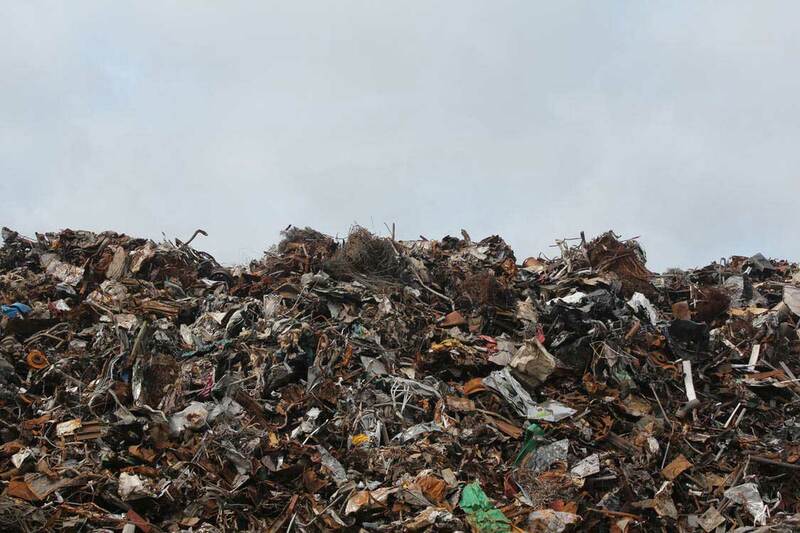 The eleven million tons of textiles dumped by Americans requires 126 million cubic yards of landfill space. There is a cost issue as well. In the US (2012 figures), the average charge for unloading or dumping of waste at a landfill or transfer facility is about $44 per ton. Keeping textiles out of landfills would save the US economy more than $375 million per year in these fees alone. Why are we dumping our clothes? How did we get here? The main reason is the Western world’s desire for fast, disposable fashion and the readily available supply of cheap goods manufactured in India, Pakistan, China and elsewhere. Why do we buy so many clothes? It is estimated that the average Brit wears 70% of the clothes in their wardrobes leaving a total 1.7 billion unused items. The cheapness of the clothes obviously is a big factor in this. Between 2002 and 2003, for example, people in the US spent, on average, 4% of their income on clothes, compared to between 1934 and 1946, when it amounted to 12%. The current average expenditure in the USA is $14.60 per item. Cheap, fast fashion means we are spending less yet buying more. Does it have to be this way? Well no, of course not. Consumers can recycle worn-out clothes or give to charities. Surprisingly, many consumers do not realise this, or given to charities. There is a massive demand for second-hand clothing in developing countries. We can use the unwanted materials to make material for furniture padding, insulations, wiping cloths and other fabrics. Also, in terms of job creation, the textile reclamation industry employs 85 times more workers than landfills and incinerators on a per-ton basis. In Western countries, clothes donated to charities via shops, collection bags or clothing banks end up in various places. The charities can give items to people in need, or sold in charity shops to raise funds for good causes. However, the demand for clothes in charity shops is relatively low compared to the supply with the result that most get exported overseas. According to Wrap, 70% of all UK reused clothing heads overseas. Such items often end up in overseas as part of a global second-hand trade in which billions of old garments are bought and sold around the world every year. Panipat in Northern India is known as the world’s “cast off capital”, with 100s of tonnes of clothes arriving from the UK and US every day. Although recycling is much preferred to ending up in landfill, it isn’t all good new though. In his book, Clothing Poverty, Andrew Brooks shows how recycled clothes are traded across continents, and uncovers how retailers and international charities are embroiled in commodity chains which perpetuate poverty, and exposes the hidden trade networks which transect the globe. It has been argued that this process destroys the textile industries of importing countries. In fact, as a result of this issue, over 30 African countries have actually enforced import embargos of used clothes. A recent article in New Scientist said “The reality is more complicated: the influx of cheap used clothing undermines local clothes makers, fabric makers, dye manufacturers, cotton growers, and so on until whole economic sectors have been demolished.” The linked article describes how the large imports of used clothes can damage the receiving country’s economy. It quotes Tanzania (a popular destination for used clothing) as an example, which it says currently runs, on average, a $297.25 million dollar trade deficit every month. The import of used clothes also affect the local textile businesses themselves. The used clothes can be sold in market for as little as 20 cents for a T-shirt putting local producers out of business.